Friday, April 27, 2012. A special date marked in history for our family. This was THE day we had anticipated, anxiously waiting. 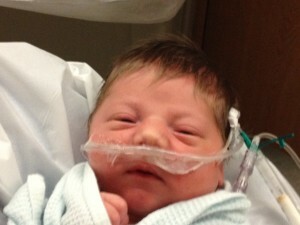 At 7 pm it would officially be 72 hours since Gavin was born and the birth parents were going to sign surrenders. Oh did time seem to pass so slow that day! Farid and I tried to keep ourselves busy. We met our caseworker at the agency to sign our paperwork. We left gifts at the agency for the birth parents, since we were unable to bring them ourselves. That evening we spent time with family at my parent’s house, celebrating my youngest brother’s 21st birthday. We kept our phones close by, constantly checking to see if we received a text message from our caseworker, updating us on the status. Finally, we received a text saying the birth parents and their caseworker were on their way to the hospital to sign the paperwork and visit with Gavin one last time. By about 8 pm we decided to start driving toward the hospital, as it was a 45 minute drive. Halfway there, our caseworker called to let us know the paperwork had been signed. I called my parent’s house. As soon as I said, “It’s official! Gavin is ours! !” the house erupted with cheers from the entire family. I’m pretty sure the whole neighborhood heard. 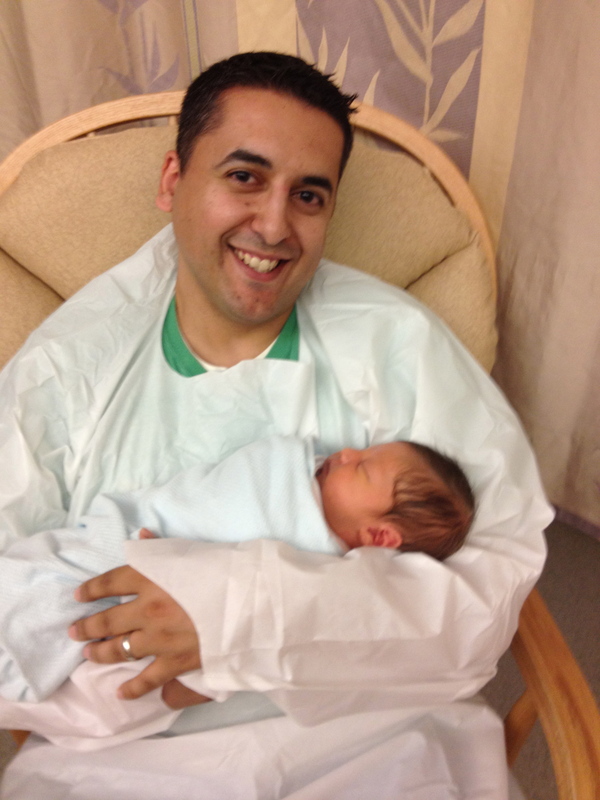 Gavin was finally ours. The child we had prayed years for was ours. As we sat in the hospital parking lot waiting for the birth parents to leave, (as they did not want to see us) our hearts were so full yet so heavy. My heart grieved for the birth parents as they made this loving sacrifice to give Gavin to us. No sweeter gift could be given! 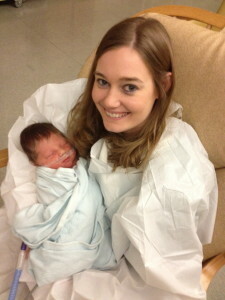 Holding Gavin in the NICU that night, we remembered the goodness of the Lord. His timing is always perfect. The road had not been easy, but we had learned much. 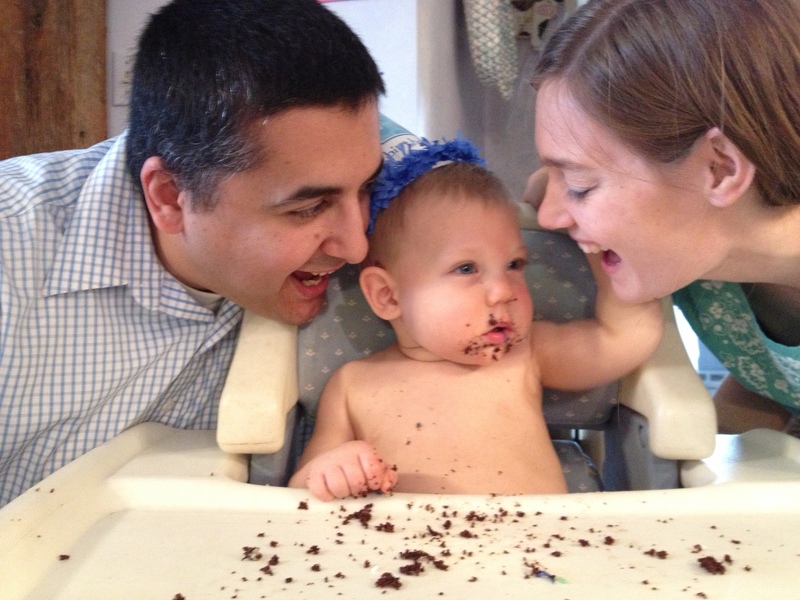 This past Saturday, we celebrated with family at Gavin’s first birthday party. Although I didn’t purposefully plan the date this way, it was April 27, 2013 – exactly one year from receiving the call that Gavin was ours. This entry was posted in Adoption and tagged adoption story, birth parents, goodness of the lord. Bookmark the permalink. Beautiful story. It brought tears of joy to my eyes :))) We are also hoping to adopt in the near future <3 Thank you for sharing your beautiful family. (Stopping by from Time Warp Wife's Link-up). Thank you again.